Even the most dedicated gym-goers can feel a bit of cabin fever as winter and its inhospitable bluster stretches deep into its third month. Despite their ability to give an impression of space, the mirrored walls of your local health club cannot completely make you forget that you are essentially stuck inside. As fit815 readers know, when the winter weather finally breaks, all we want to do is get outside and enjoy those warm temps. Kayaking offers a great workout that can be enjoyed on our placid local bodies of water. It is a common misconception that time spent sitting in a boat does little for your physical health; this couldn’t be more incorrect. 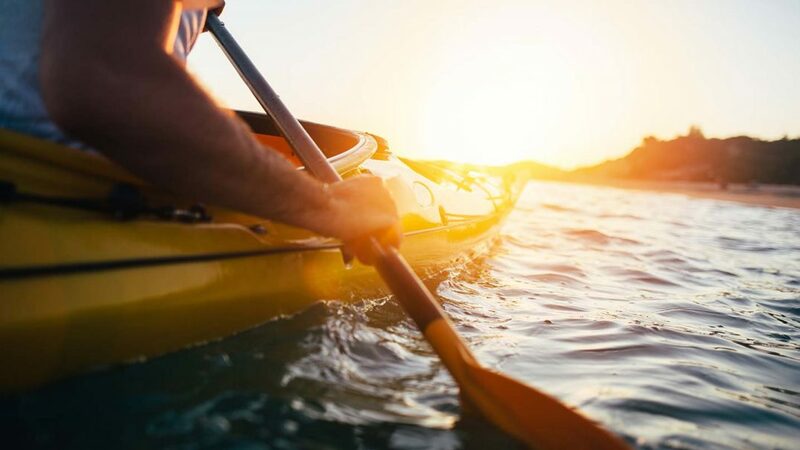 There are many water sports that do wonders for your body and kayaking is one of them. Sadly, a leisurely float on your brother’s pontoon is not, though it can still do wonders for your mental health and your tan! Kayaking involves plenty of rowing which, for those of you who have not tried rowing a boat or using the rowing machine at your health club before, may not seem like a very intense form exercise. But you can burn nearly 400 calories per hour rowing at a mere 5 miles per hour, which makes it a great exercise for weight loss. And since it’s certainly a form of cardio, it’s great for your heart health, too! If you are looking to tone your muscles, kayaking does wonders for your arms and shoulders and, surprisingly, those legs, too! Rowing is a total body exercise; your upper body obviously engages in the pulling motion, and having to maintain your balance engages the core muscles and legs as well. 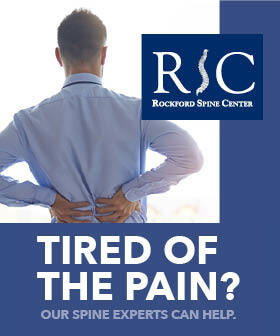 Don’t be surprised if you find that you’re quite sore the next day! Many people also find that kayaking is a great way to calm the mind. Being out in nature and breathing in all that fresh air combined with repetitive motion and the soothing sound of rippling water is a recipe for relaxation. There are many beautiful places in the 815 region to try out this new hobby. Rock Cut State Park is a perfect place for those who are new to kayaking. Not only do they rent kayaks out for a reasonable price, their serene lake provides the perfect environment upon which to learn before trying out some more challenging waters. If you need to gear up, Rocktown Adventures is great for those seeking one on one training and new places to explore; they offer classes and tons of fun events. Check them out, and make sure you get outside this summer and soak up that vitamin D!